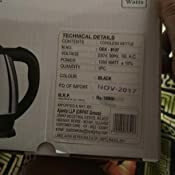 Amazon's Choice for "orpat electric kettle"
Sold by k3_stores (4.7 out of 5 | 358 ratings) and Fulfilled by Amazon. Gift-wrap available. Sold by k3_stores and ships from Amazon Fulfillment. 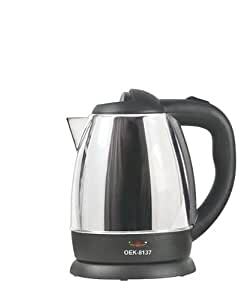 Modernize your kitchen experience with Orpat 1.2-litre electric kettle, made up of durable, brushed aluminium die cast and stainless steel for dependable quality and service. 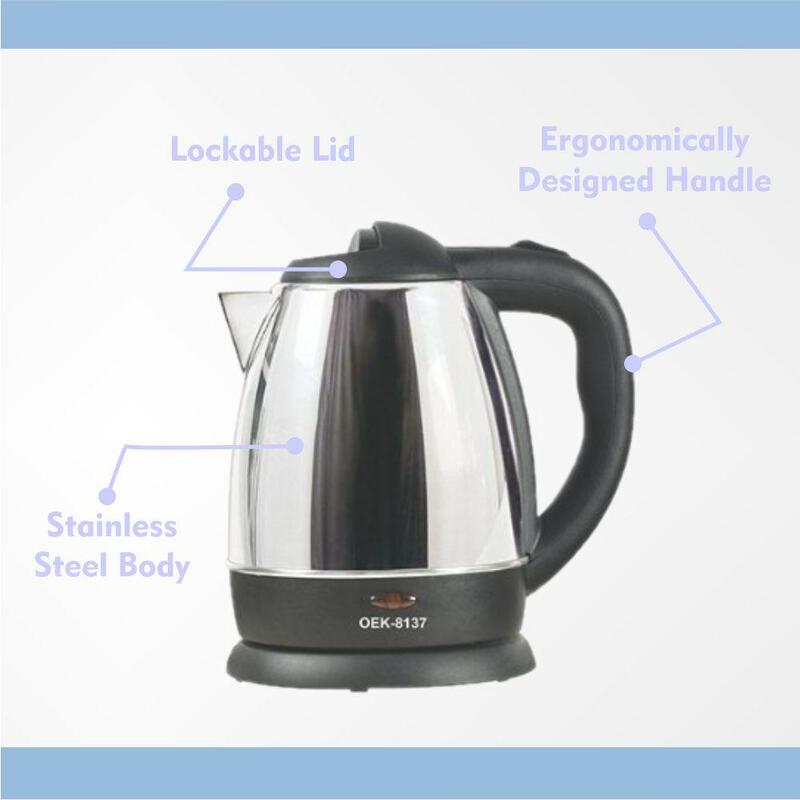 Safety features of electric kettle include auto shutoff when water boils, on indicator light, and locking lid. Kettle lifts off corded base for easy filling and pouring. Spout filter keeps water poured out to flow uniformly without much spillage. 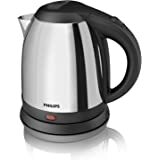 Auto shutoff when water reaches boiling point, this built-in safety feature ensures that the kettle will never overheat or boil over, which could damage the kettle, it is also embellished with power on light. The ON/OFF switch is just at the top of the handle in this kettle which is firmly designed to give a great and smooth functioning of appliance for your convenience. With many kettles, You can't tell if they're hot except by touching them. 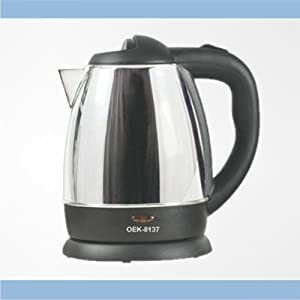 But with the orpat kettle you'll know just by looking, when the power light is on. This electric kettle has 1350 watts of power that allows boiling of water in just few minutes. The quick boiling makes it more demanding appliance for all modern kitchens. 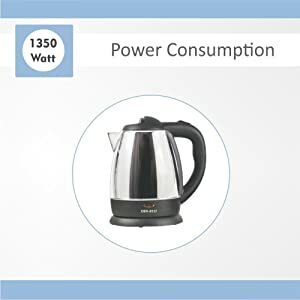 The electric kettle is designed with aluminium die cast and stainless steel to ensure a high durable long lasting performance. The Stainless Steel makes it look smart along with granting dependable quality & service. The Locking Lid is another great safety feature of this kettle. The lockable lids prevent accidental spills while you're pouring. 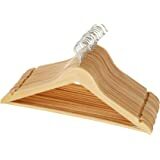 The handle is designed in a way that gives an easy and strong grip. The design is so conveniently done that it allows maximum grip while accessing lid button. 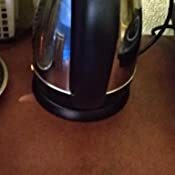 4.0 out of 5 starsWith some normal tidbits, the kettle met my expectations!! 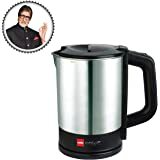 "I use it for multitasking & basically like to boil water & made tea or coffee in it, when I pour the coffee in a cup, it has a broad mouth to facilitate easy serving of tea and coffee without any hassles. 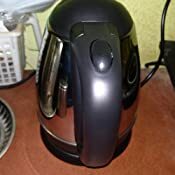 What I loved most is, it boils water or coffee not more than just 1.5 min, which is much less than any other gas or induction; hence good life hack for any busy man or woman. The bonus point is, it does auto stop itself even when I am doing any other work. :) Some other pros are it requires 1350 W electricity, again not a very big investment for an hour of usage. Easy to handle & transportation. 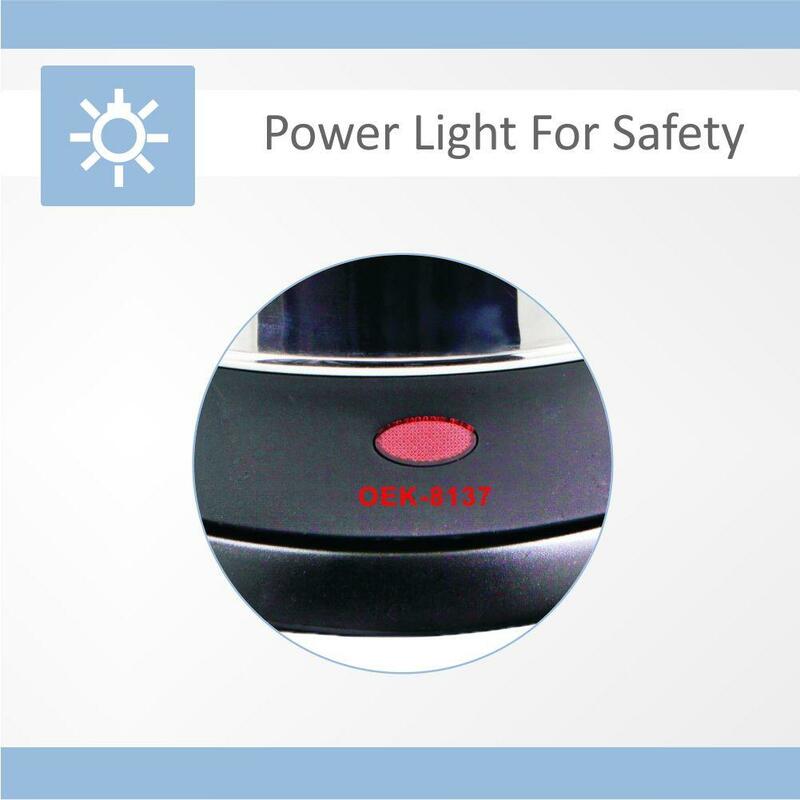 It comes with a separate 360 degree corded base for providing electricity when needed. :-) "
The seller was Gauryog & the delivery was prompt. With some normal tidbits, the kettle met my expectations. I am happy with my purchase! Hope the above review will help you to make a right purchase call. If you liked my review please do press YES & encourage reviewers like me to write more often. Thank you!!!!" 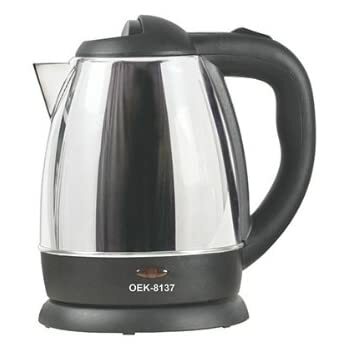 This Orpat Electric kettle is a very handy device to make hot water within a minute or two. First of all the design and build quality of the product is very nice and feels sturdy to hold. Now let me tell you about the working. 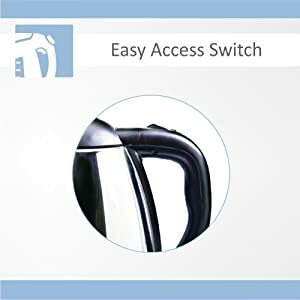 This kettle comes with a base plate attached with a wire(a bit small) and the kettle needs to be placed on that plate, and there is a switch on the kettle marked with 1(on) and 0(off) on either side. Put the switch in 1(on) position and then turn on the power switch and the water starts heating. 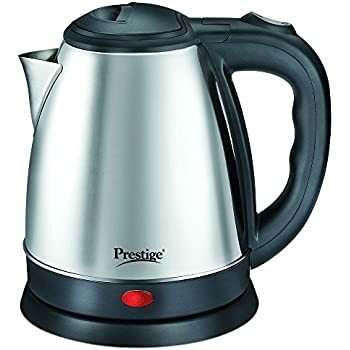 There is a red indicator light at the lower portion of the kettle and it turns on when the water is heating and turns off when it is finished. This kettle has auto power off(only works when the lid is closed) which is a handy feature to have. The kettle has a marking on the interior as MIN and MAX and make sure you fill water at least upto min level and maximum upto MAX level marking otherwise water will spill out. Heating can be stopped by manually pressing the switch on the kettle or by just simply picking up the kettle from the base plate as easy as that. The water gets really hot. 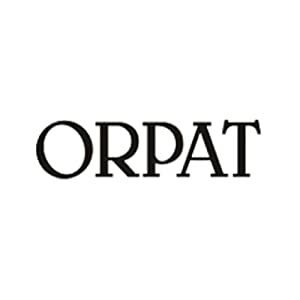 So, overall I feel this is a very good product for the price it is offered and also comes from a reputed brand like ORPAT. Coil got burnt in 2 months last december. I tried to claim warranty and was asked to contact orpat service center which is not available in banglore. I enquired amazon and then they asked me to obtain no service certificate from orpat which was never provided to me even after 100s of calls. 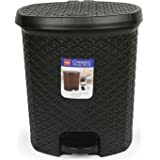 Amazon did not help me in this regard and this product lays waste in my home. Cheap, duplicate and faulty item. I got one which gave shock. Returned it only to get item with similar fault. See the tester glowing when I touch it to It's body. It's not Mfg by ORPAT. They just get it imported cheap, table it as ORPAT and sell as ORPAT item....It's cheating with customers. 5.0 out of 5 starsexperience after 6 months!! 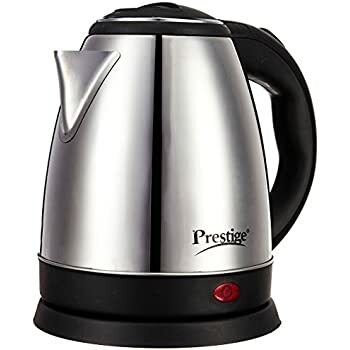 I have used this kettle for 6 months now and it is working fine. Its Big, lightweight and gets heated quickly. Please note this product is only for water boiling. I used this for egg boiling, and after that, it became very dirty from inside and it is very difficult to clean it. 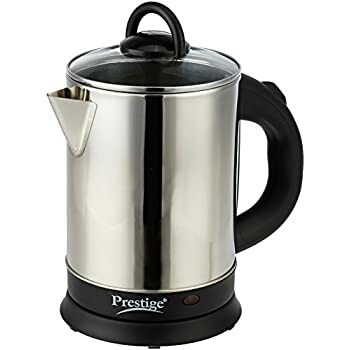 Overall it is good for water boiling only, you can get other kettles cheaper than this one. 5.0 out of 5 starsProduct as advertised. Update:after an year of useage works perfectly fine. 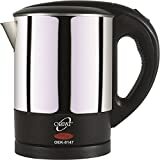 The orpat electric kettle is perfect. 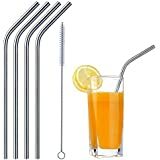 The size is suitable for boiling water for tea or anything u want for 2-3 people. The material seems durable n sturdy. Its easy to clean and maintain. Haven't boiled anything except water so can't comment on milk or Maggi usage.but I think it will work fine. The cord is a bit short but okay. In all its a satisfying purchase. Amazon was perfect in delivery as well as packaging. 3.0 out of 5 stars3 weeks, and already rusted from inside. Water heats up very fast- faster than my microwave which I was using before this. But I live in Noida and within 3 weeks of usage, the inside of the kettle has rusted already. I think, I will have to dispose it off after this winter. Probably better quality of steel would have not rusted. Who knows ! Size of the kettle is medium which is satisfactory. There was no problem with the delivery. The problem was with the kettle itself. I received a defective piece. When filled with water it leaks from the bottom. This is very unsafe as there are chances of short circuit. When you receive such appliances make sure that you test them. 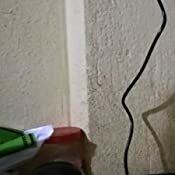 Moreover, length of the wire is very short. It is about 68 cm. 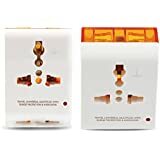 Don't buy this product unless your power socket is low enough. Had the wire been longer it would have been a very good product.